This year 422 Studio, the best place in Richmond to get your pinup photo's done, is teaming up with A Night of Honky Tonk Angels 2 to raise money for the Virginia Breast Cancer Foundation. 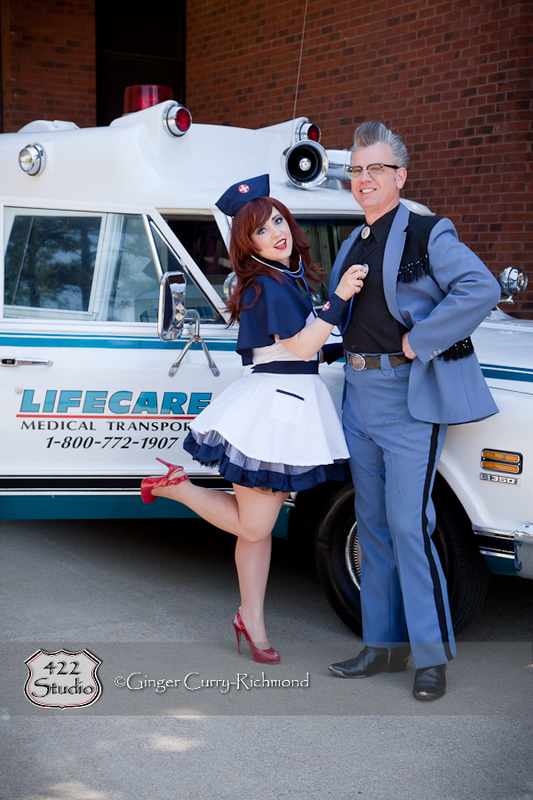 We'll be on hand doing souvenir photo's featuring YOU with Nurse Bettie Selfcheck (local burlesque performer Skye Sinclaire) in front of this sweet vintage ambulance. This is the second year of this event and it's lining up to be a fantastic night. Doors open at 6 pm! Concert Tickets ONLY $10 with 100% of proceeds going to VBCF! Clippi Headren Salon will also be donating prizes as well. Excellent! Hopefully I'll see you there.